With millions in Nepal facing an increasingly dire situation, Zakat Foundation of America (ZF) team is hard at work in the affected region, assisting survivors and providing lifesaving food and water aid in the wake of the devastating earthquake on April 25. According to CNN, more than 5,489 lives have been lost and 11,440 people have been injured, while another eight million are struggling to survive the devastating aftermath. ZF has additional help on the way from the United States and Turkey to Nepal as a staggering 2.5 million survivors are still in need of food assistance. The ZF team will continue the distribution of emergency aid, consisting of food items and clean drinking water. While on the ground, the ZF team will also provide a better understanding of the devastating effects left by this tragedy and will capture a glimpse of the challenges that survivors will be facing in the future. In the next few days, ZF plans to implement a larger effort that will expand to include emergency health services, temporary shelter, and the distribution of non-food items. 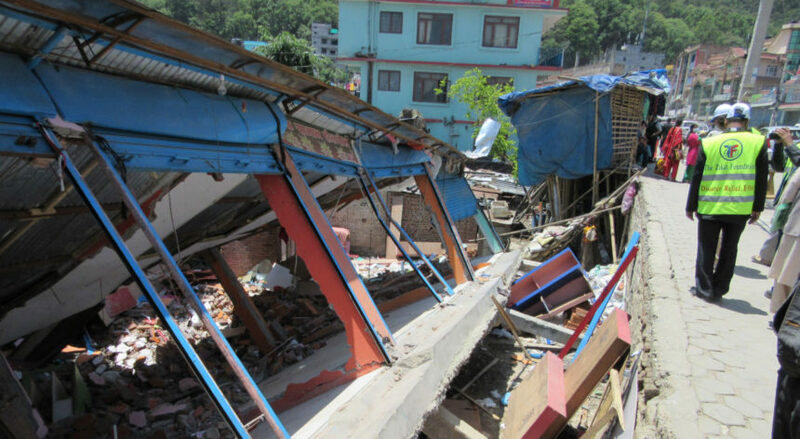 Following this tragedy, the country of Nepal remains in a state of shock and disarray. Your support will help ease some of the hardship the survivors are facing and will likely continue to face in months to come.